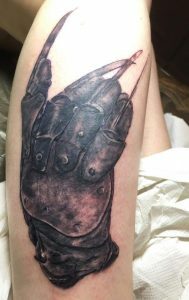 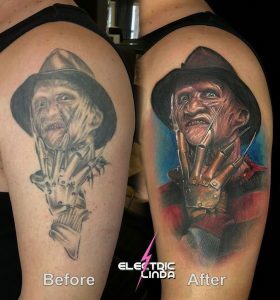 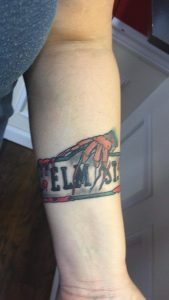 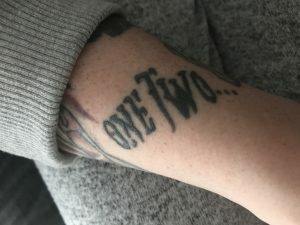 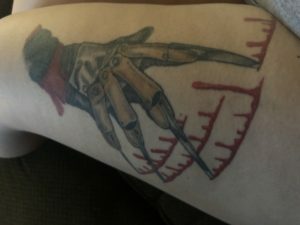 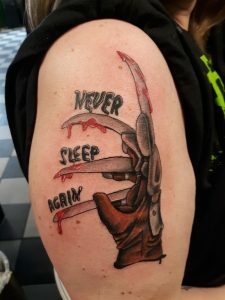 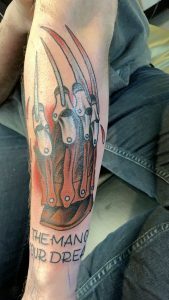 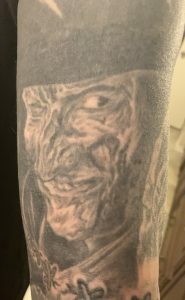 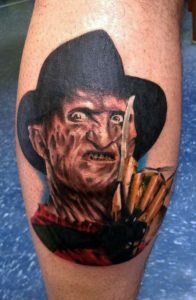 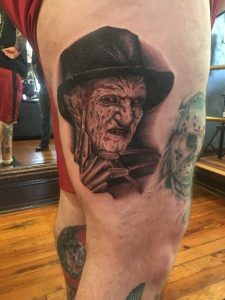 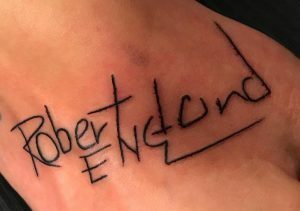 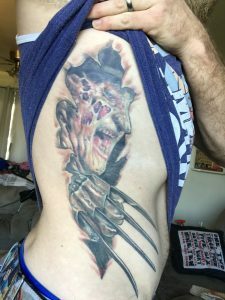 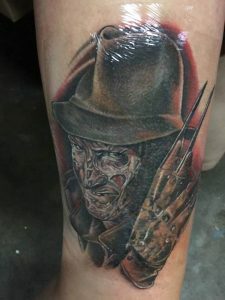 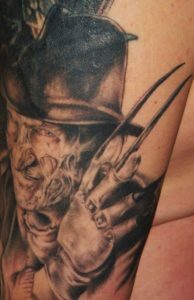 As both die-hard horror fanatic and Nightmare on Elm Street fan, this tattoo was a must. 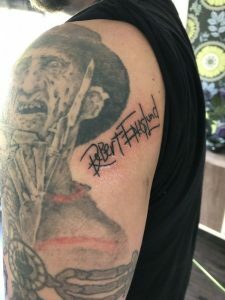 Hey Robert! 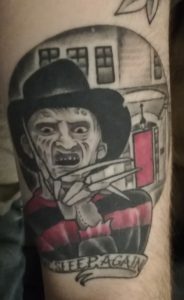 Been a horror fan since the age of 9/10 And my horror hobby/collection started with a Freddy glove! 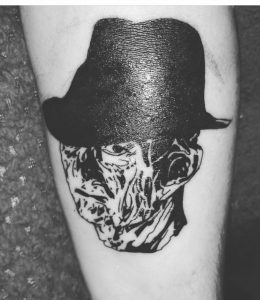 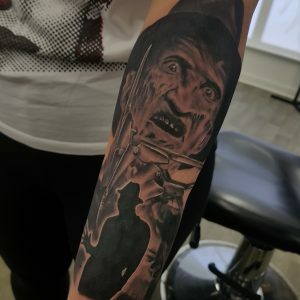 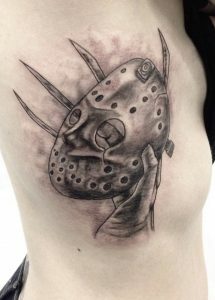 Got the tattoo because I have watched the movies since I was young and my love of horror movies. 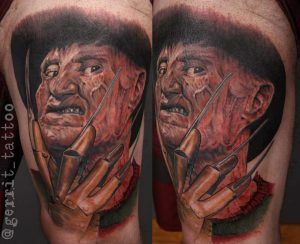 NOES is the best film ever made! 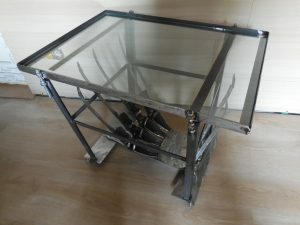 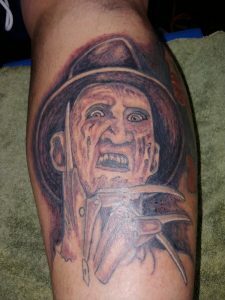 Love horror movies…..want a collection of horror images on my legs….tribute to the world of modern terror…. 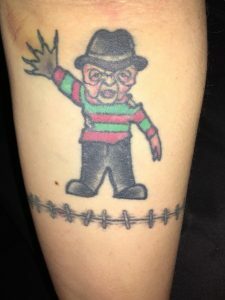 Freddy was my first love, and I have loved the movies since I was young.